Inside: Here are 45 Christmas traditions to make your season bright. Pick and choose which ones work best for your family and incorporate them into your holiday festivities. These are tried-and-true traditions—hope you love them as much as we do! Years ago, I read a study about the importance of traditions. One simple question was asked of the participants: “What did you get last year for Christmas?” People fumbled around trying to remember what they got from the previous Christmas. Most threw up their hands and said they couldn’t remember. Then the researchers asked, “What Christmas traditions did you celebrate last year?” Smiles came to people’s faces, their eyes lit up and they recounted dozens of traditions they loved and cherished. That’s the power of traditions. Traditions do more than create fond memories for us—they help us avoid the commercialism of the holiday season which in the 21st century is just more food, more material goods, and more people. For the last 100 years, Christmas has become increasingly commercialized. The magic of the season is slowing disappearing…replaced by frazzled, exhausted people. If you want to recapture the magic of the season—add meaningful and simple traditions. Borrow from your ancestors and neighbors (and this blog) and change your holiday around. Did you know in Victorian England (where some of my ancestors are from) they played simple games during the holidays such as blindman’s bluff, charades, snapdragon, hunt the slipper and more? They sang songs, danced, and ate. The cost was minimal and the fun was extraordinary! Your great-grandparents in America filled their holidays with sleigh-riding, ice-skating, caroling, playing games and dancing. 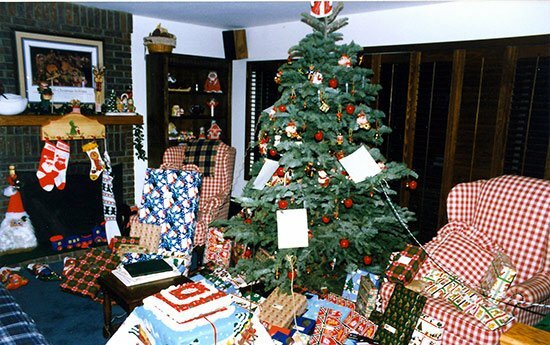 When people talk about having a nostalgic Christmas—that’s what they’re talking about. It’s the spirit of the season that they hunger for. Don’t make Christmas just an extension of what you do all year round. Make it different. 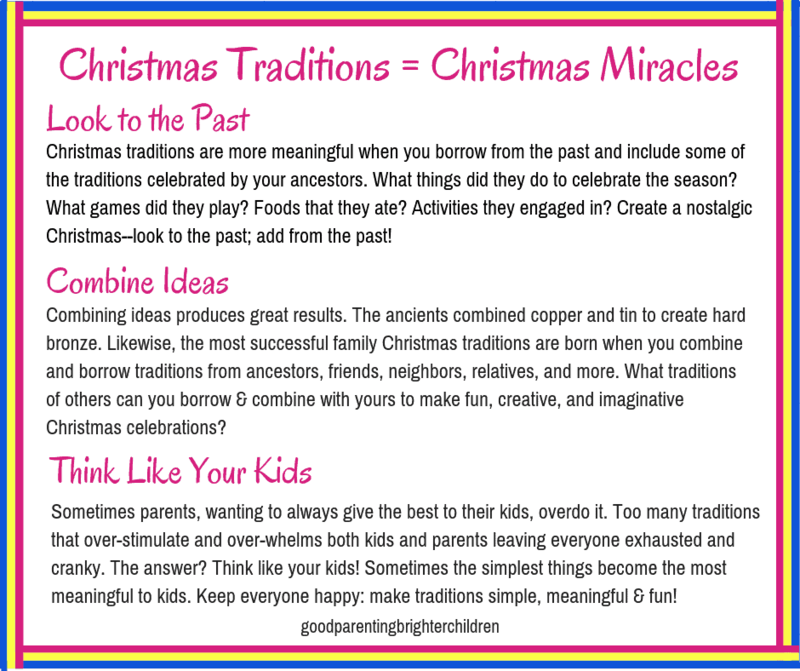 Use traditions of the past and mix in your own and create a legacy your kids and grandkids will cherish. 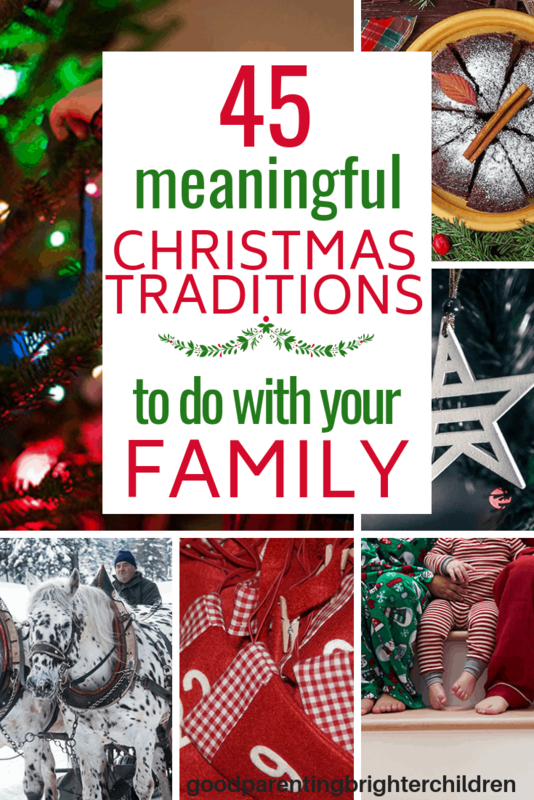 Here are 45 family traditions to pick-and-choose from. For ease, I’ve divided them into categories. The tradition of Mr. Goody is similar to “The Elf on the Shelf,” except, we’ve had Mr. Goody as a tradition in our home since 1979! Here’s how it works—these are our own ideas and not from Elf on the Shelf (I think they copied us!). Purchase or make little miniature stockings for each child in your home and set them by Mr. Goody. The first time you start this tradition, send the elf (via mail) to your children with a note explaining that Mr. Goody will bring treats each morning to each child. He also likes to hide—be prepared to look for him. 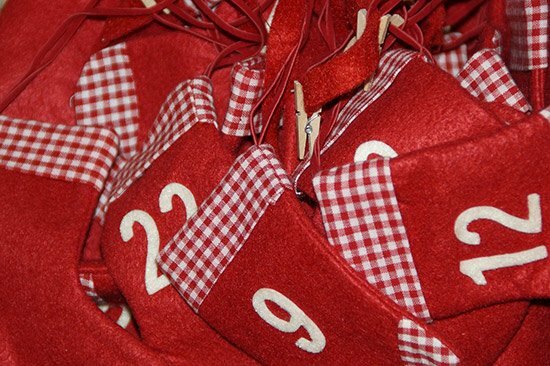 Advent calendars have been around for 100s of years. They are one-page calendars with scenes of Christmas and little-numbered doors to open each day leading up to Christmas. Some have elaborate boxes that are opened each day with symbols and stories of the holidays. Either purchase advent calendars for your kids or make your own. 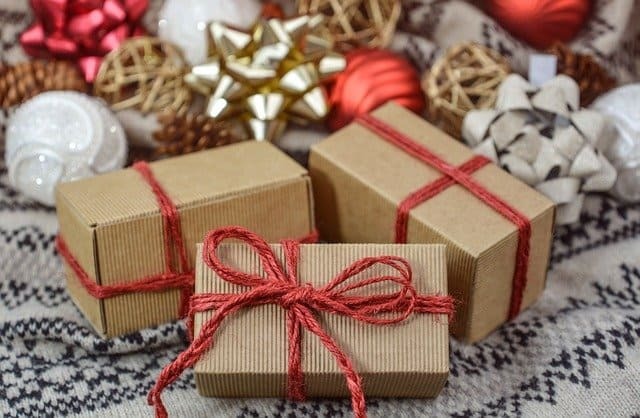 Here’s one idea: buy cellophane or colored paper bags or felt stockings; put a simple treat in each bag or sock; put a number on the outside and place them into a small suitcase or Christmas box. We called it “Advent in a Christmas Box.” Each day your children take turns picking a bag or sock from the box. Children everywhere love Advent calendars at Christmas time. Opening windows, boxes, bags or stockings create a feeling of exciting anticipation. There is something magical about flannel sheets in the winter. They keep everyone cozy and warm. Purchase Christmas flannel sheets for family members and have them on the beds by December 1. If you want, purchase Christmas bedspreads to complete the fun! Christmas music is just plain magical! It brings the Spirit of the season into homes and creates excitement in the hearts of ALL family members. Start December 1 playing Christmas music and play it the entire month. There are tons of CDs to choose from. Try this favorite: Libera; The Christmas Album. Starting December 1, begin reading Christmas books to your children. There is meaning, miracles, and magic in Christmas books. For details on book titles and activities, check out blog one and blog two on the subject. Plus, you can access a list of 32 Favorite Christmas books from my Resource Library (click below). Create a bookshelf just for holiday books and add a new Christmas book to your collection each year. Christmas books bring the Spirit of the holiday into your home and into your children’s lives. Read Christmas books each day throughout the month of December. Ever play “lumberjack” and cut down your own Christmas tree? It’s great fun and your fresh tree will smell up the house all month! Or, go to a Christmas tree lot and have everyone help select the best Christmas tree ever. 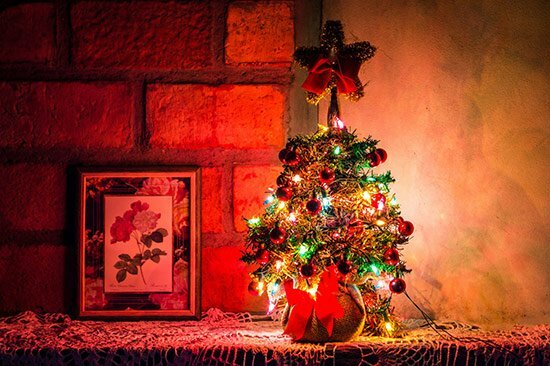 Purchase small Christmas trees for your children’s’ bedrooms to decorate with lights and ornaments. It’s a mesmerizing experience for a child to snuggle in their flannel sheets at night while listening to Christmas music and surrounded by lights from their Christmas trees. Bring the spirit of the season into your children’s bedrooms. Let them decorate a small Christmas tree of their own–one they can keep in their bedrooms and light each night while going to sleep. Designate a night and have everyone help decorate the house. Serve hot chocolate, finger foods, and have Christmas music playing. It’s funny how each ornament and decoration is cherished by family members. Perhaps because they contain the memories and essence of the season. This simple activity can become a very nostalgic tradition. The reason for the season is the birth of Christ, so make setting up the nativity an important part of your traditions. Discuss with your children the part that each character played in the First Christmas. What did the shepherds do? The wise men? The animals? The angels? Mary? Joseph? Baby Jesus? This tradition can be celebrated in many different ways. First, you can choose a family to secretly take little gifts to from December 13 through December 24 (see blog for details). Kids-Choose-the-Menu Day. Kids rule the food and choose what they want to make and eat. Grandparents Day—include the grandparents. Go see the lights, a movie, a play, etc. Craft day—spend the day making holiday crafts, cookies, etc. Put each family member’s name in a hat and have everyone draw out a name. Shh…keep it secret! Throughout the month each person does nice things for the family member they picked…simple acts of service—such as making the person’s bed or lunch; writing a note and putting it under their pillow; helping with homework, etc. Rule: can’t purchase anything–you can only give service or make something. Reveal secret elves on Christmas Eve. Call a hospital or assisted living center and ask how your family can help during the holidays. Sing carols to the patients? Bring treats? Read Christmas stories? Find a family in need; adopt them and provide their Christmas. Contact your city, churches, homeless shelters, etc., for names of people needing help. Your children will never forget these acts of service. They bring the best kinds of meaning to Christmas. Research what your ancestors did during the Christmas holidays. Undoubtedly their celebrations were simple and included games, dancing and baking certain foods. Create a legacy and adopt some of their traditions. 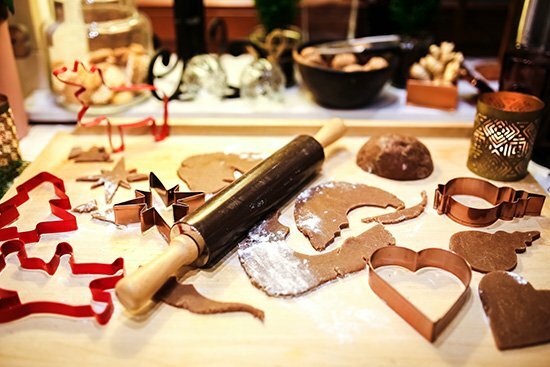 Make special foods for Christmas such as cookies, pastries, cakes, puddings, or main dishes that you only make at Christmas. Fondue, Raclette originate from France and Switzerland but are favorites to add to Christmas celebrations. Be creative–borrow from the food traditions of other countries. Christmas dishes are everywhere. With your kids, decide on a pattern you think would be fun to use for the next 25+ years. Use the dishes the entire week of Christmas. I have two sets that I trade off throughout the season and our kids love eating off them every year. A Christmas Cookie Exchange is a fun way to sample different kinds of Christmas cookies, bars or candy and add new recipes to your repertoire. Organize about 10 friends to join in the exchange. Decide on how many dozens of cookies, bars or candies each person needs to bring (all one kind) and how you will divide them up. Include your kids. 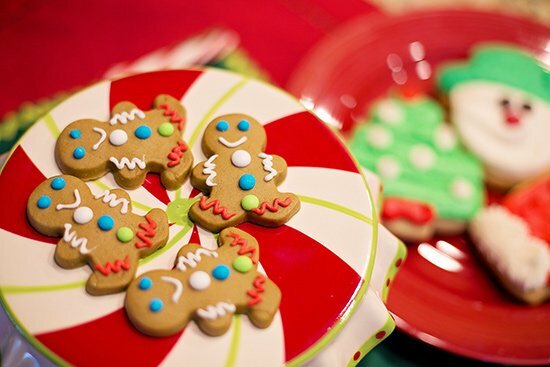 Organize a Christmas Cookie Exchange! And include your kids in the fun! Plus you will bring home dozens of other different cookies to celebrate the season! The Yule Log has a long and involved history. It started out as a Viking ritual of bringing a tree log into homes or villages; burning it and saving a piece of the log to use as kindle for the next year’s log. It symbolized the driving away of evil spirits while bringing good luck for the coming year. 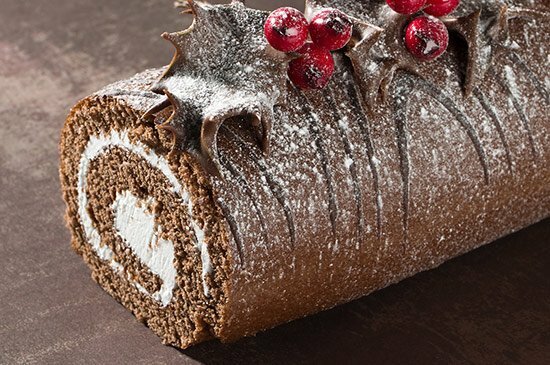 Thanks to the French, today the yule log is a log-shaped cake called, Buche de Noel. It is served after midnight mass on Christmas Eve and meant to warm both heart and home. If possible, arrange for Santa to come to your house to visit your children. Provide small gifts for Santa to give each child. This was a tradition our children loved—the same Santa came to visit them year after year. They never knew when he was coming which increased the excitement and anticipation! 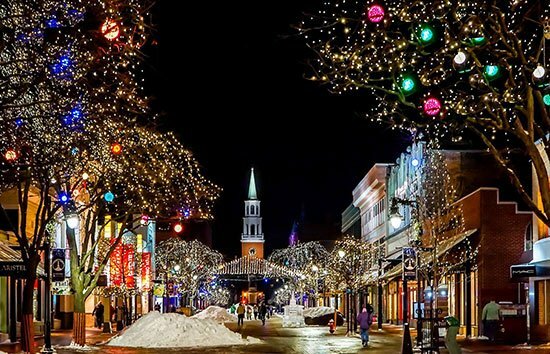 In every city and town, Christmas light displays are available to see. You can either drive through (and stay in your warm car) or you can walk around. Either way, Christmas light displays tend to be spectacular! Don’t miss them! There is something magical about Christmas lights! Take your family to see the lights in your city and neighborhoods. It will be one of the most fun activities you do during the holiday! Look in your area for the play, “A Christmas Carol.” It is a heartwarming story that is sure to become a yearly family favorite. Afterward, go to dinner and discuss your children’s favorite parts and meaning of the story. Every child needs to see the Nutcracker ballet at least once. Before going, read the book several times and play the music so your kids are familiar with the story and music. This is a fun way to add culture to their lives. 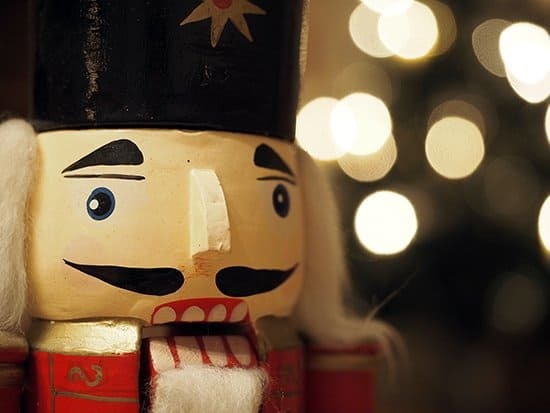 For a memorable event–take your kids to see The Nutcracker ballet! 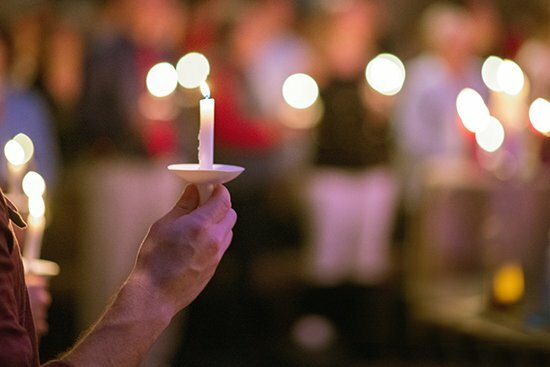 If you like music and like to sing—join a Messiah Sing-Along in your community. I was 14 when I sang with my first choir performing “Messiah.” It was an exhilarating experience and one I’ll never forget. Take your kids and have the sing-along of a lifetime! Every holiday, set-up a Christmas puzzle on a card table for everyone to put together during the month. 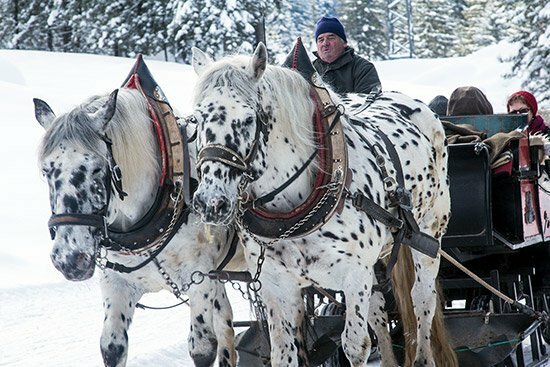 If you have the chance to go on an actual sleigh ride during the holidays–do it! Such fun and is a throw-back to the 1800s! Throughout the month of December watch Christmas movies as a family. Have everyone write down what they liked best about the movie on pieces of paper. Pull them out of a hat and discuss Christmas films and how they create lasting impressions. Hollywood can always be counted on to produce a Christmas movie every year. Take the whole family. Go to lunch or dinner and discuss everyone’s favorite parts. Baking a birthday cake for Jesus has existed for 100s of years. Cakes are usually white (purity of Jesus) with red frosting (shedding of Christ’s blood for us). The cakes are baked with little treasures inside and the rising of the cake symbolizes the resurrection of Christ. After children hear the story of the First Christmas, everyone gets a piece of cake. Children hope to get a slice with a trinket inside. On Christmas Eve many Christians read the story of The First Christmas from the Bible signifying the reason for the season. Make or purchase inexpensive costumes and as a family act out the story complete with Mary, Joseph, the shepherds, wise men, and donkeys. Every year purchase new Christmas pajamas. Wear them on Christmas Eve and Christmas morning as you are unwrapping packages and throughout the season. (plus it’s the perfect Kodiak moment). Christmas pajamas are the best! Make it a tradition to get new ones every year–wear them on Christmas Eve and Christmas Day! Read The Polar Express by Chris Van Allsburg on Christmas Eve—reminding your children of the importance of “believing” in the spirit of Christmas which is the spirit of giving. Singing Christmas songs as a family from door-to-door is such fun and one your children will love—plus neighbors love carolers! If you have relatives in other states, call them up and have your family sing carols over the phone. You stay warm and have fun at the same time! As your children are going to bed on Christmas Eve, give each child a candle (or LED light) as they march into their bedrooms. Prior to Christmas Eve have everyone pull out of a hat a family member’s name to give a $10 gift to. On Christmas Eve—exchange these gifts. This is a tradition in Iceland. Instead of giving the usual gifts, parents give their children many books that are exchanged on Christmas Eve. Family members spend the rest of the evening in bed—reading and eating chocolate! In Poland, families exchange oplatek wafers embossed with the Nativity scene. Each person receives a wafer to eat before Christmas Eve dinner. Fathers and mothers embrace and express their love for each other and each takes a bite from the spouse’s Oplatek. This ritual is repeated with each family member. They are reminders of the importance of family love. On Christmas Eve my husband takes a long string; attaches part of it to the Christmas tree and winds the rest of it all over the house, the yard, the garage, and attic. Each string has a child’s name on it. On Christmas morning, each child takes their string and winds it around to their special gift. This has been a favorite tradition at our house for over 40 years. 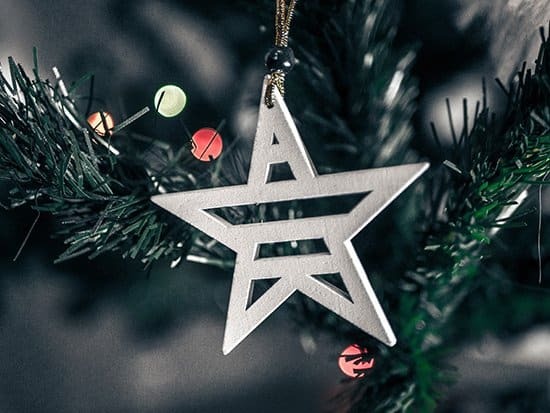 One Christmas tradition that your kids will love is a “string gift.” Tie a string to the Christmas tree (include a note from Santa) and have the child wind the string to his/her special gift. We wound the string all over the house–outside, inside, attic, etc. This goes with the string on the tree (above). Each string has a special Christmas letter from Santa attached telling them how much they are loved. After opening presents—make a special Christmas morning breakfast complete with unique breakfast foods. 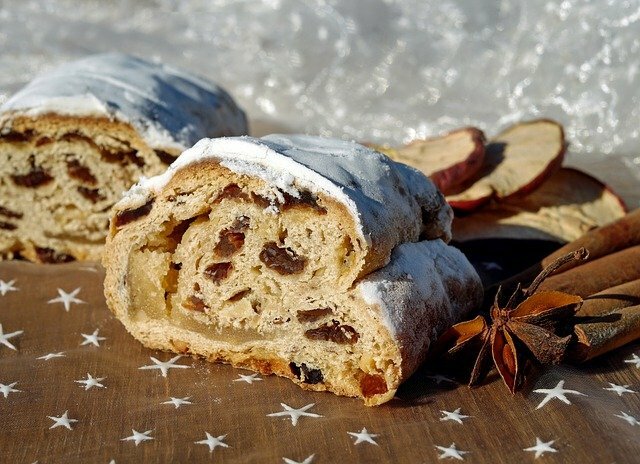 At our house, Christmas breakfast always included a German fruit bread called “Stollen.” It was a bread our German ancestors made during the holidays. If you allow your kids to open their stockings before you get up—fill the stockings with healthy foods to eat such as fruit, granola bars or protein bars. This will stave off hunger pains until breakfast. Some families like to give three meaningful gifts symbolizing the 3 gifts given to the Christ Child by the wise men. Others give 4 gifts symbolizing: “one thing they want; one thing they need; one thing they wear; one thing they read.” The Vikings gave three gifts: one useful, one meaningful and one that required discipline (a membership to the gym–just kidding!). This tradition has many versions. One version says: parents hide a pickle ornament deep into the branches of the Christmas tree. The next morning the child who finds the ornament receives an extra gift from St. Nicholas and the first adult who finds it gets good luck for the whole year. After the festivities of Christmas morning—play videos of your family from Christmas past. It’s a fun tradition and helps everyone realize the many blessings received each Christmas. When taking the Christmas decorations down, put a Christmas mug underneath the tree filled with candy cinnamon bears for everyone to eat. Believe it or not—children love to discover this mug under the tree. 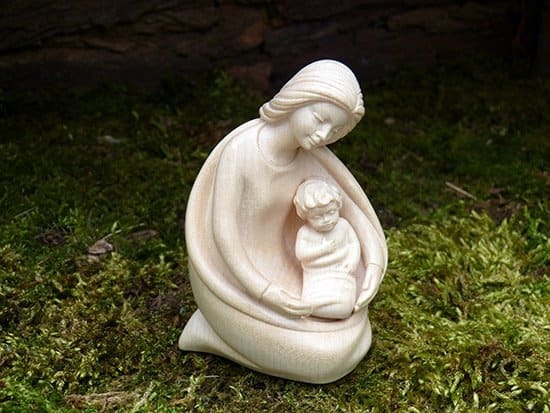 What are some of your cherished Christmas traditions? Ones your family enjoy year after year? Please share! You can never have enough traditions! If you want to see the video that goes with the blog, click here. Here is the “Teaching Tips for Parents” section. Additional ideas to help you as you choose the best traditions for your holiday celebrations. Want to remember this post? Post these 45 of the best Christmas Traditions on your favorite Pinterest Board! « Read All About It: 6 Best Christmas Books for Kids in the World! I love the polish tradition. That is one I had not heard of. I love traditions! One of our favorites has always been to read a story a night. I have given each of my children a book of those stories as they have gotten married. One other tradition is we would always get a new ornament for each child representing something that happened during the year. When they married, I put them all together and gave them to them with their book. Thank you for sharing, Nancy! I love your ornament tradition! What a meaningful and memorable tradition to do for your kids–I’m sure they cherished getting all those when they got married and no doubt they are passing that tradition down to the next generation. Love it! So many great ideas! I wish I had known you when my kids were young! We would have had so much more fun! Those we had certainly paled in comparison. Some of our best memories were those we shared with our ward family in Willows, Ca. They crossed all age groups and were shared with any family that moved in. I’m going to share these ideas with my kids so they can pass them on to my grandkids! One tradition I did mean to tell you was one that I shared with my sisters and brother when I was young. My brother would build us a large “sleigh” (a haphazard wooden box), and pull my sisters and me with our tractor——on icy country roads. And he loved to weave all over the roads, scaring the heck out of us! What fun we had! Thanks Cheryl–I love your idea of the large sleigh your brother built–that had to be so much fun for you as kids! Traditions are the best–especially around Christmas. Thanks for sharing! Appreciate the support! I love all the fabulous ideas on the blog today! Now I want to incorporate even more activities we can do as a family. Thank you for the great post. Traditions are one of the most important things we can do with our families and it links us to generations both past and present. Thank you Dodi! Coming from you it’s a huge compliment because I know that you have practiced some of the most unique and interesting Christmas traditions with your children and grandchildren! If anyone is reading this comment–go to my Christmas with Grandparents blog and read about all the amazing things this woman does with her grandchildren at Christmas…you’ll want to incorporate her ideas asap! Thanks, Dodi! Thank you again, Tiffany, for all your support and always commenting on my posts–it’s appreciated! 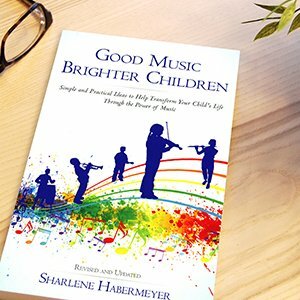 Zach will love the string tradition–our kids still love it–and they now do it for their kids. It lengthens out Christmas morning, too. I hate for Christmas morning to end—love the feeling! Plus, knowing you I know that you have many wonderful traditions (for every holiday) that you celebrate! Your family is lucky!